All Schools are required by law to have access to competent Health and Safety advice, which is where we come in. Services for Schools can give your school a realistic health check that for whatever reason you may not have been able to provide yourself. A bespoke and user friendly value for money service that will not only ensure your staff are save and secure but also be compliant with the law. This enables the Head and the Leadership Team to concentrate on the school KPI’s and the children. Time spent now addressing and dealing with issues will mitigate the impact of an incident or accident that may attract reputational and HSE interest. A school may never recover from a HSE inquiry or prosecution. .
Our experts will become part of your team, we don’t do red tape and we don’t just tick boxes. We find solutions. Our service will always be client centred and tailored to suit your needs agenda and mitigate risk. You will have a named fully qualified Chartered Member of the Institution of Occupational Safety and Health (CMIOSH) practitioner working with you who will be your “on call” and “e mail contact” and the person who will site visit. If you are a group of schools either under a MAT or Federation this principle will continue on a school-by-school basis. Our expert is competent to undertake fire risk assessments and is a member of the Institute of Risk and Safety Management. 4 planned site visits to ensure agreed Health & Safety systems are in place and effective. For example, for a school and with up to 50 employees the full inclusive package will be £1075 per annum; for up to 100 employees just £2100 per annum. Further quotes can be obtained for larger schools and MATs. The Standard package supports you with a virtual Health and Safety dept. without buying services you don’t think you will need. Swift Health and Safety advice for your issues as they arise, so you don’t make what could be costly mistakes. 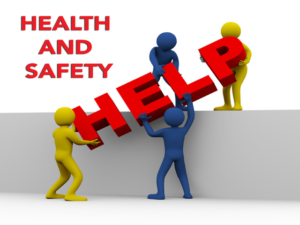 Telephone and email support and advice on Health and Safety issues as they arise responded to in a maximum of 24 hours. 2 planned schools visits: 12 hours of on-site visits per year. This provides for basic services i.e. On-going we will ensure your policies remain up to date and awful. Provide you with essential HR advice by telephone or e-mail within 24 hours. Provide support with issues in the workplace, as much or as little as you need. © Services for Scholls 2017. All rights reserved.